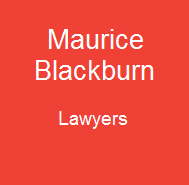 On behalf of Greenpeace, the Australian law firm Maurice Blackburn Cashman has “served notice” on 20 New Zealand companies advising that they could be held liable for their contribution to climate change, writes NZLawyer online. Those companies and their directors were informed that it is important to both evaluate and address climate risk. Already in 2003, that same law firm, Maurice Blackburn Cashman, also served notice to nearly 200 of the top Australian companies on behalf of Climate Action Network Australia (CANA). NZLawyer online reports that they served notice to 146 Australian companies and according to the Investor Group on Climate Change it was nearly 200 companies. According to Greenpeace, serving notice to companies contributing to climate change is important for climate change legal actions such as litigation lawsuits or even prosecution proceedings because those companies that were warned would have a hard time to claim, that they were unaware of the risks associated with their activities. Therefore this campaign is making it easier for future legal actions. The Climate Justice Program wrote about this subject, stating that this legal action was the latest move from a global climate justice movement which is gathering momentum. On their website you can see a list of Climate Change related lawsuits and their results including those in Australia and New Zealand.